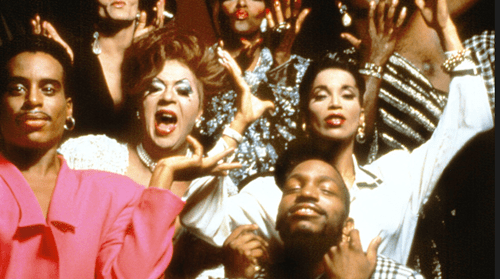 Paris Is Burning is a 1990 ground breaking documentary film directed by Jennie Livingston. Filmed in the mid-to-late 1980s, it chronicleed the ball culture of New York City and the African-American, Latino, gay, and transgender communities involved in it. The film is considered to be an invaluable documentary of the end of the “Golden Age” of New York City drag balls, and many critics have praised it as a thoughtful exploration of race, class, gender, and sexuality in America as well as much needed documentation of LGBT history. Now 25 years later a planned screening of PHB on June 26th in Brooklyn has prompted arts organization BRIC to re-think the showing because some Tans Queer POC now find it exploitative . While Jennie Livingston and Mirimax [sic] profited immensely off of this anthropological foray into the lives of low-income TQPOC ballroom members, through years of lies and dishonesty, Livingston was able to use people for the sake of her own fame and has been living off of their stories ever since. In the meantime, most of the original cast has been murdered or has died in poverty. This is exploitation of a vulnerable population who trusted Jennie to do right by them. – Use the platform that you’ve gained through our stories to speak out against the atrocities that are killing us daily. Violence against trans women of color specifically, like the still unsolved murder of Venus Xtravaganza, is still rampant. Share your limelight with people and organizations doing work that benefits the communities in the film. – Pay retribution to the survivors and communities of the people you exploited in Paris is Burning with all future proceeds. Livingston, who was an NYU film student at the time PIB was made responds. I’m grateful the conversations here encouraged me to deeply consider my relationships, both to surviving members of the Paris is Burning cast and to the TQPOC community at large. As we move forward towards the 25th anniversary of the film, I need to keep talking with the cast members themselves about how they feel about the film and its continued distribution. And if they’re interested, about how can the cast and I work together to benefit the community? Last year Junior Labeija and I did a screening to raise money for the Ali Forney Center (which serves homeless queer youth). So many of the people in the film are gone: what are we empowered to do to continue their legacy and honor their memories, to benefit ballgoers, and to fight violence against trans and queer people of color? PIB received funding from the National Endowment for the Arts when the organization was under fire for funding “controversial artists” as Robert Mapplethorpe and Andres Serrano. Some of the most heavily featured performers attempted to sue in 1991 for a share of the film’s profits. Paris DuPree sought the largest settlement with $40 million for unauthorized use of her ball. . All dropped their claims after their attorneys confirmed that they had signed releases. Now I am 100 percent for trans equality BUT this lazy activism of Trans Activists always default to in attacking anything inside the community rather than actually taking on the bigotry outside of it is beyond maddening and quite honestly does their cause more harm than good. Hopefully one day they’ll realize that. Watch out To Wong Foo With Love Always, Julie Newmar. You’re next. Liberty Counsel’s “Fat Matt” Barber Hefts Himself Onto The Cross: Radical Homos Want To Kill Us!